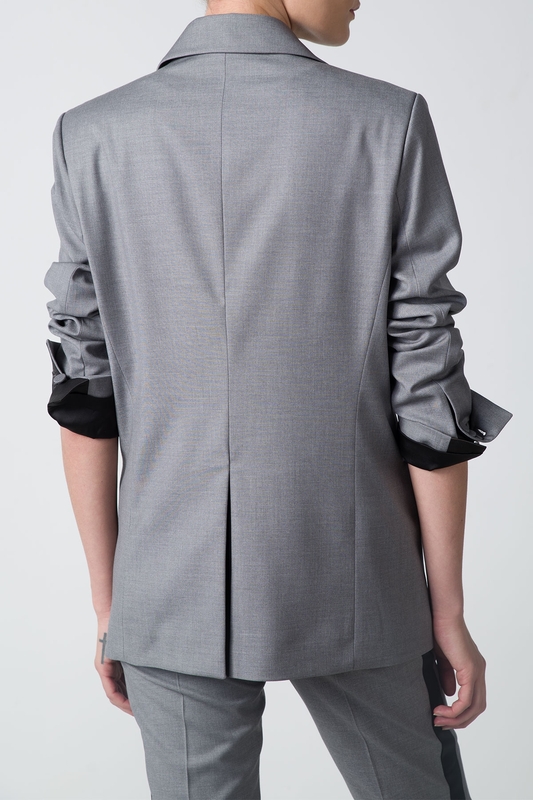 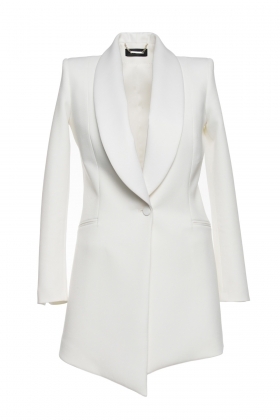 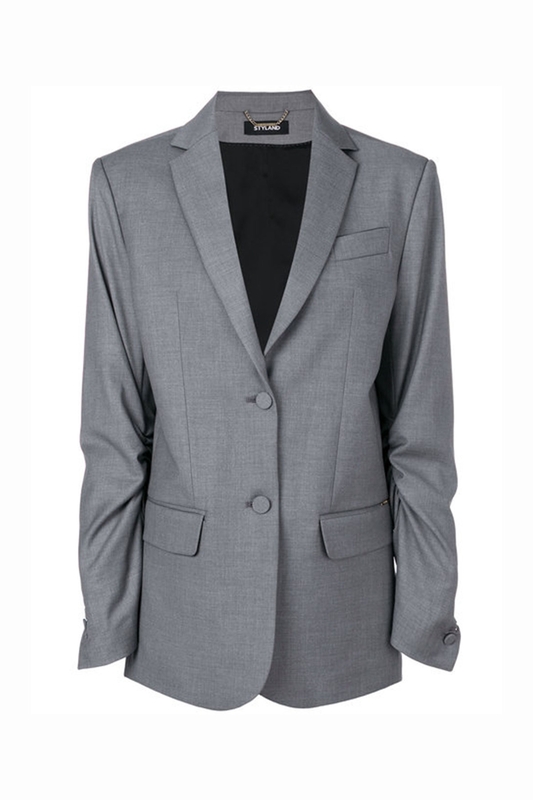 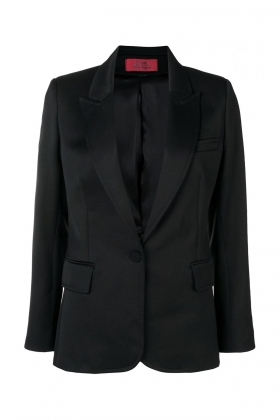 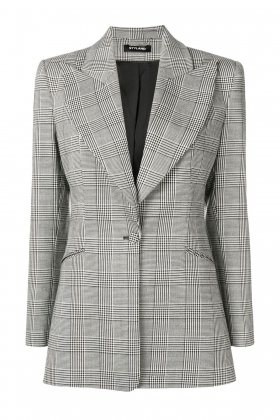 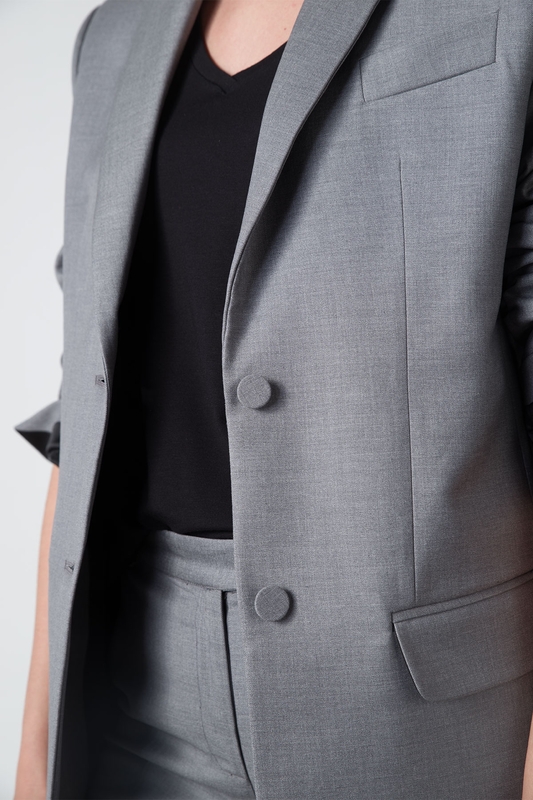 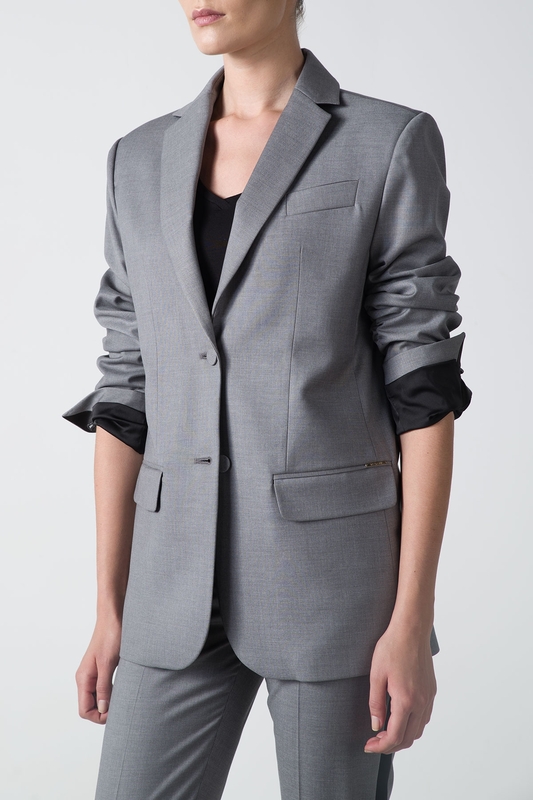 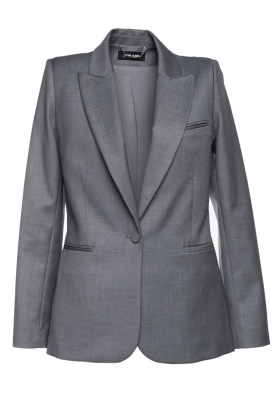 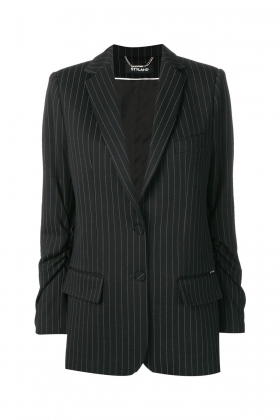 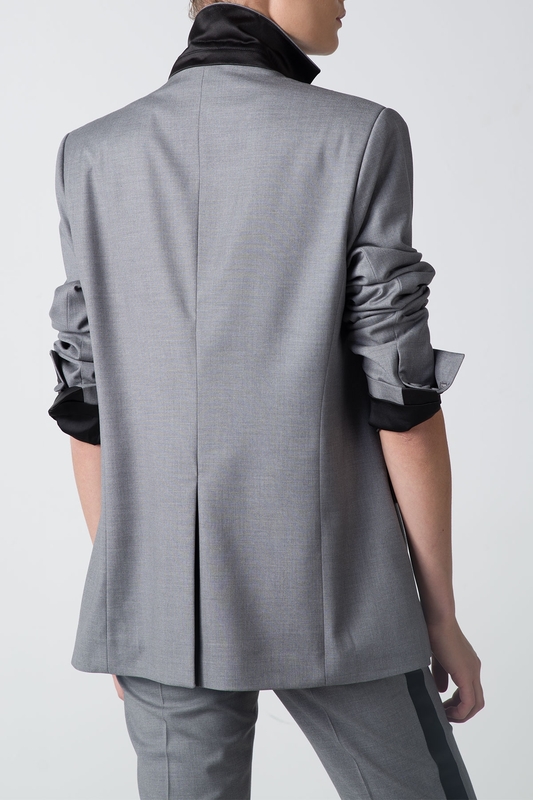 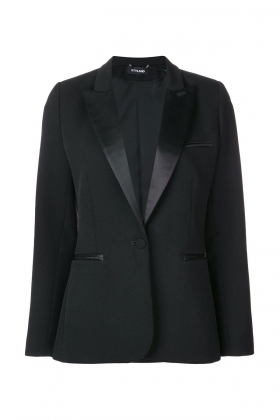 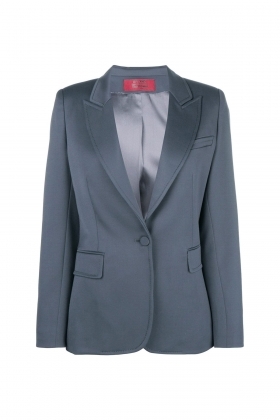 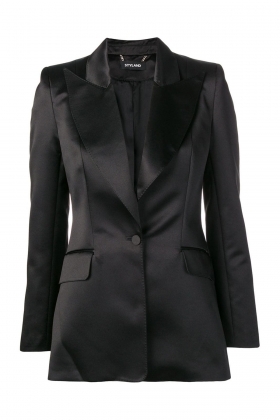 Gray oversized blazer designed with satin details, padded shoulders. 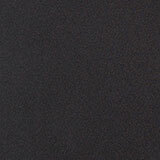 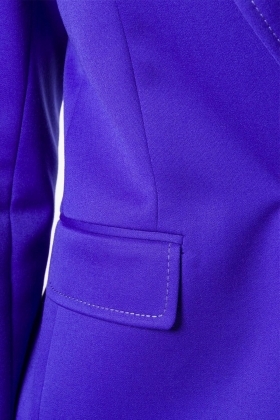 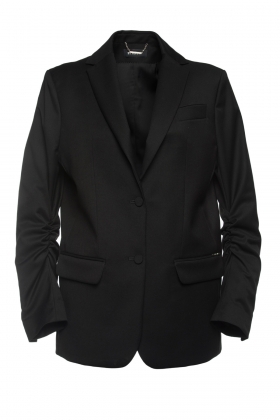 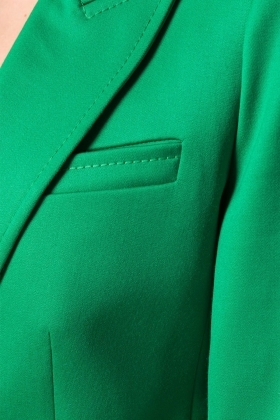 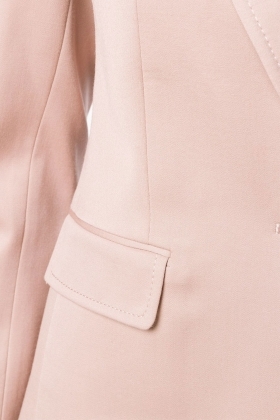 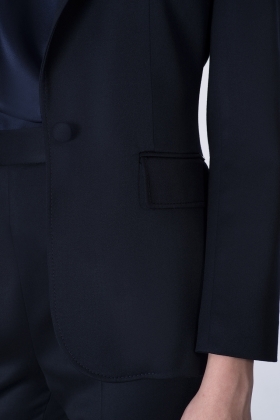 A contemporary update on the classic wool men's blazer designed front side pockets. 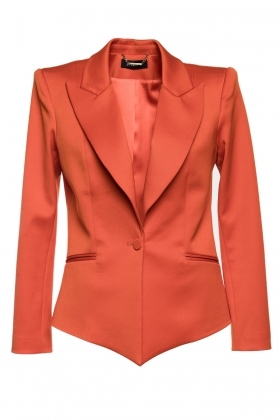 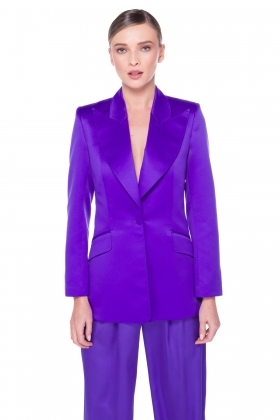 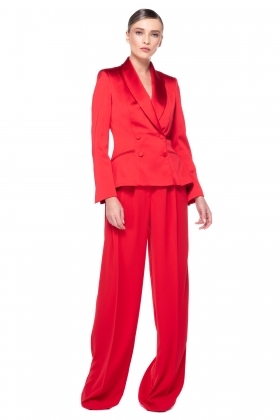 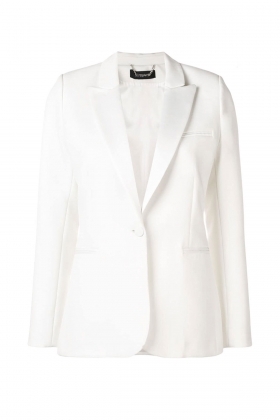 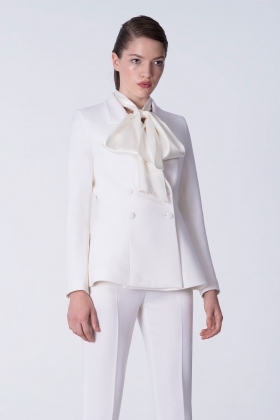 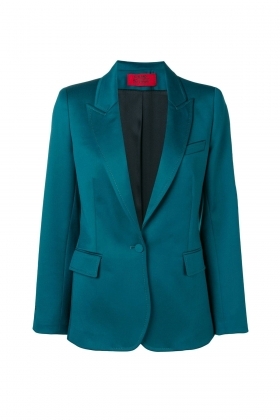 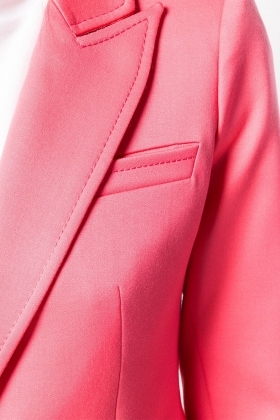 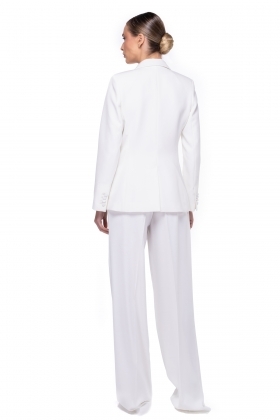 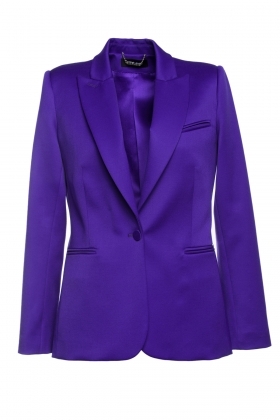 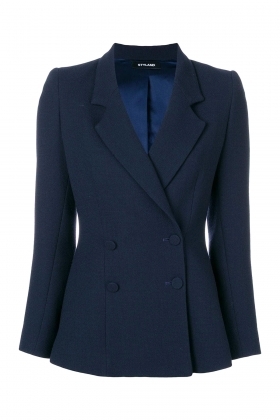 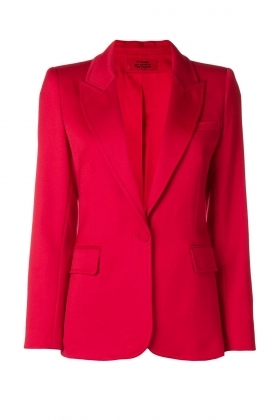 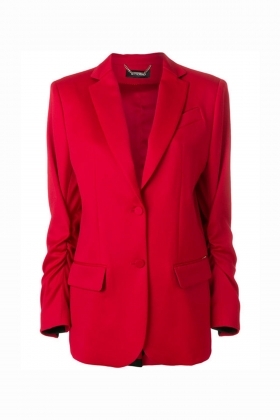 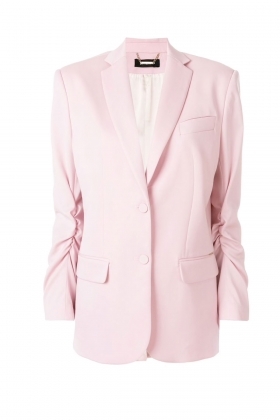 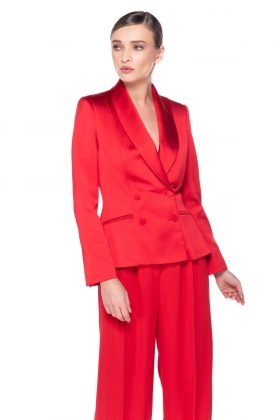 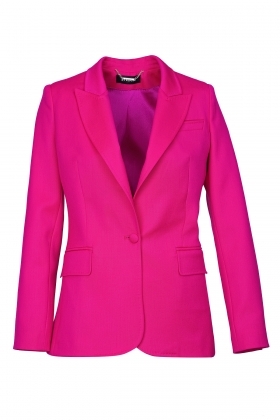 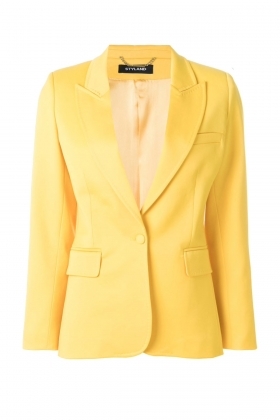 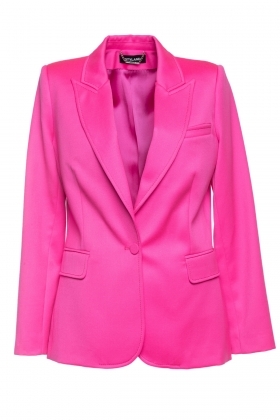 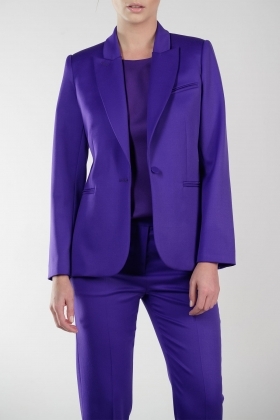 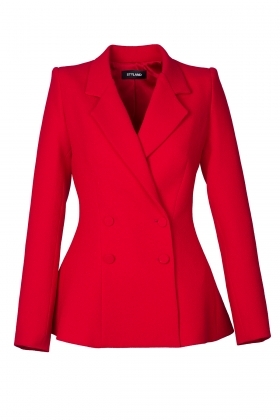 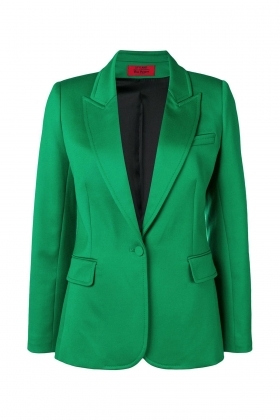 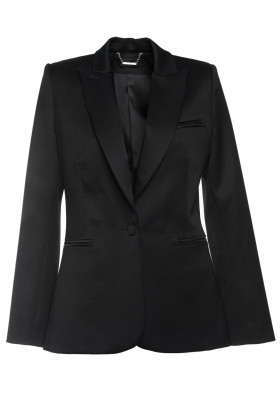 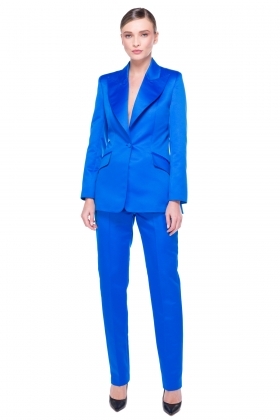 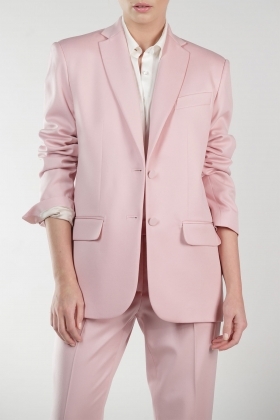 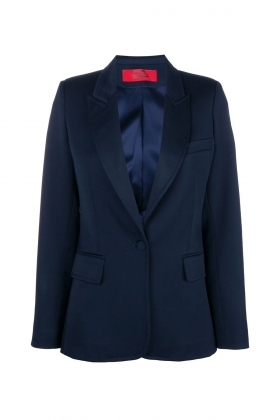 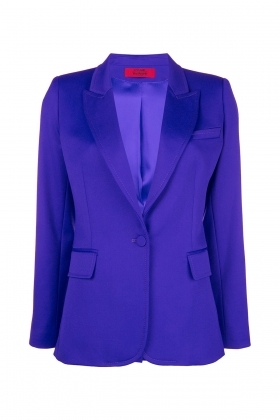 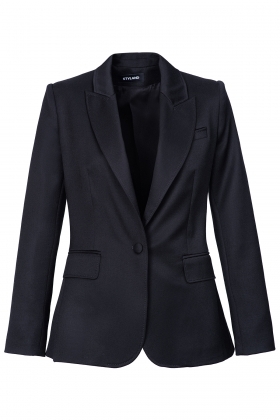 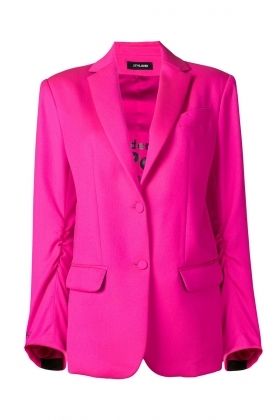 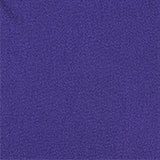 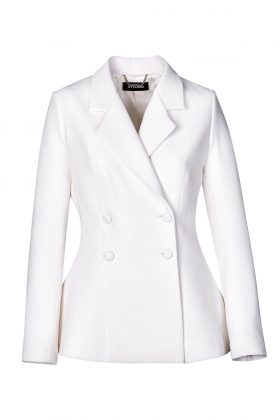 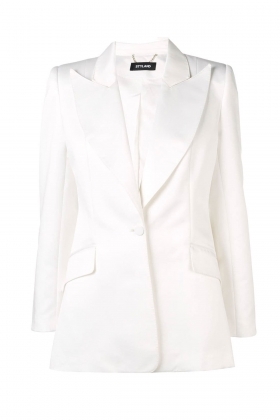 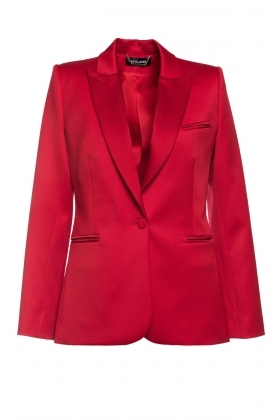 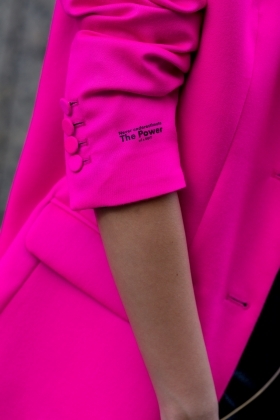 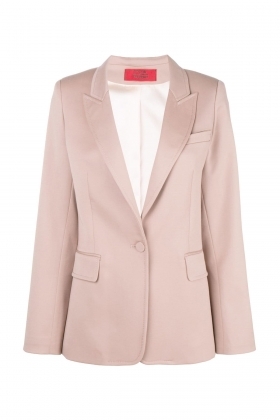 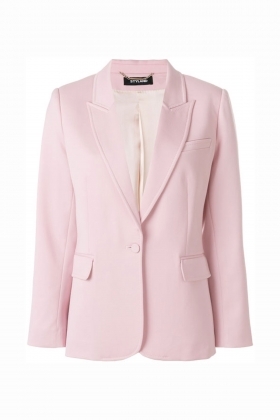 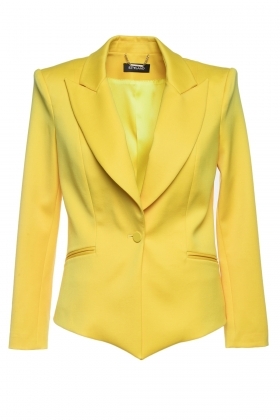 This Boyfriend blazer comes in multiple colors. 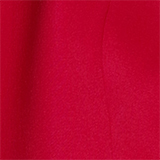 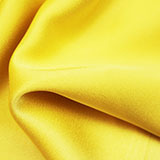 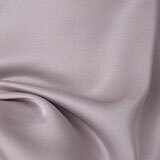 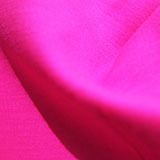 It has been worn on different occasions from monochromatic or contrast aesthetics to unexpected bright colorways to captivate the attention or to turn some heads. 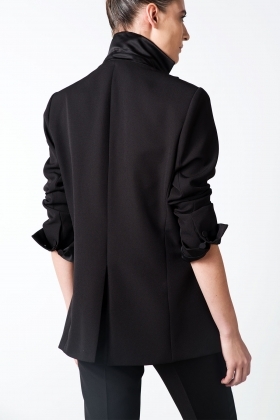 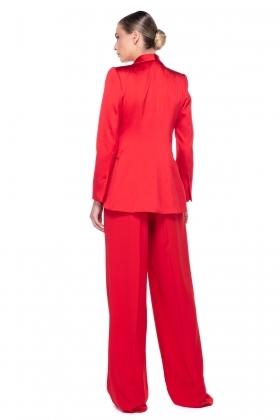 This is an over-sized shoulder style. 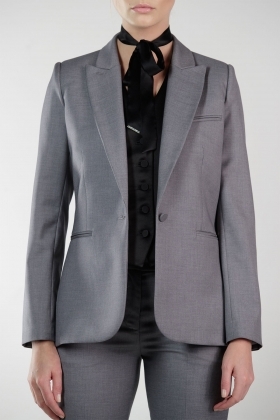 Choose a smaller size for more fit look.